oomph. : a week of spring dressing. print mixing. a week of spring dressing. print mixing. with mini-he's birthday festivities last week, i didn't have a chance to post this for a week of spring dressing. we always see tons of print mixing for spring. 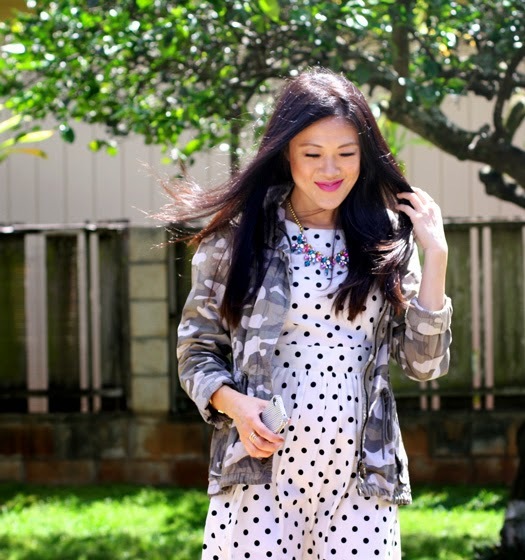 instead of the usual stripes and florals, i opted for polka dots and camouflage. what print combos have you been rocking this spring? red velvet minecraft cake from Da Cake Chicks. shop Patty's Closet and get 20% off when you mention '808bloggers' at checkout. two locations: mililani town center and pearl highlands. 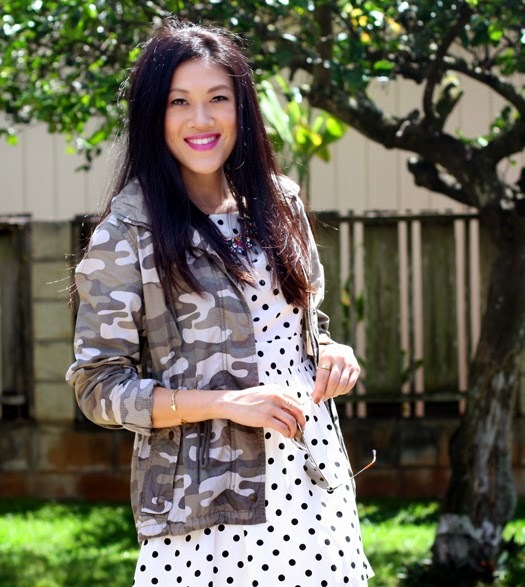 I never would have thought of camo and polka dots together, but I love it!!! Happy birthday to your little guy! Great outfit, would have never thought to pair those two patterns. Hope your little guy had a great birthday, that cake is amazing. What a great an unexpected combination! 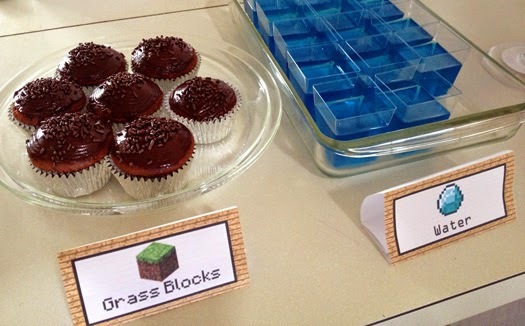 I don't know anything about Minecraft (my kids aren't into it), but the cake looks amazing as do the little snacks! I would never thought to pair these to patterns together. Minecraft!!! My kid just flipped. 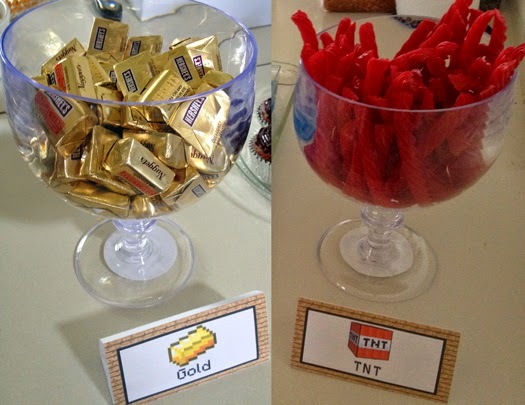 mmm candy! 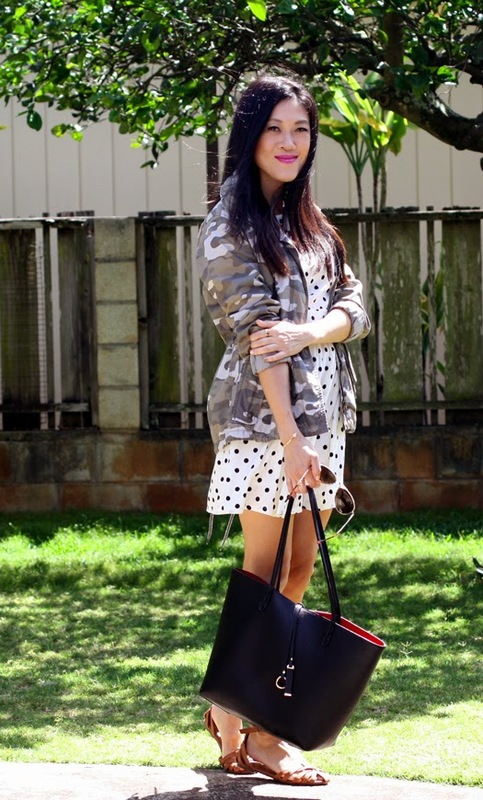 love the camo jacket and tote bag! Very cute! I purchased some polka dot pants for Summer. 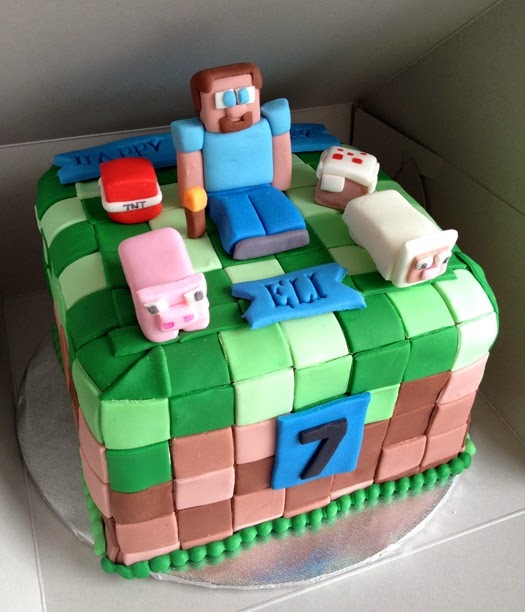 my nephew would LOVE that minecraft cake! Lil Pumpkin's birthday (as well as ours!) are coming up next month too so I'm feeling kinda swamped with prep myself! Wow, what a cake! And I love how you paired cute polka dots with the boyish camo. Love that contrast. you look adorable and so does the minecraft party! it came together so well! Cute dress! Love the mixed prints! 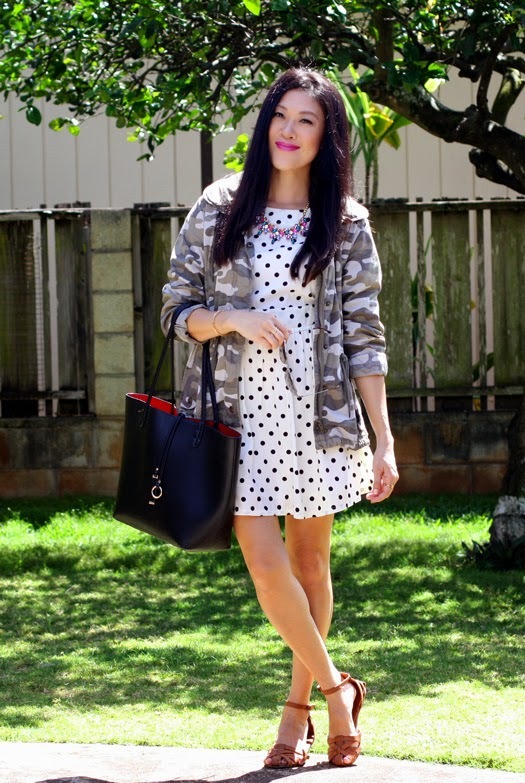 Love the mix of camo and polka dots. Such a cute party for him. Love the minecraft theme. a week of yellow. chartreuse. a week of yellow. details. a week of yellow. breezy top. a week of spring dressing. dark florals. a week of spring dressing. bright florals. anatomy of an easter outfit.